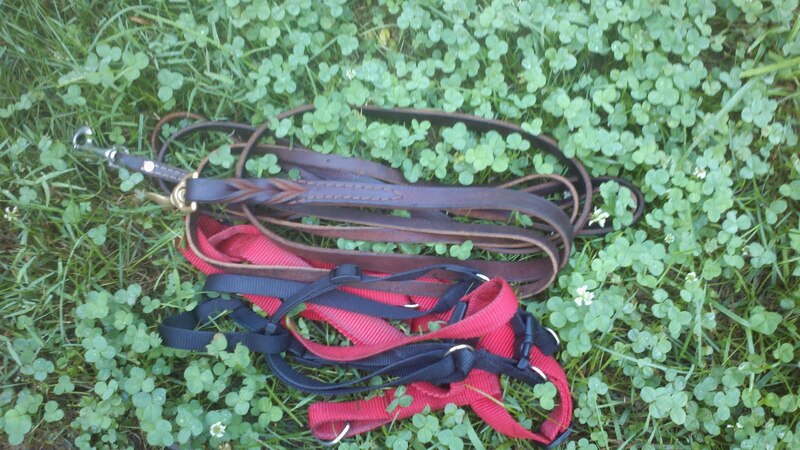 Winding up the worn leather leashes that belong now to Moon and Copper, I thought about Kiera, my German Shorthaired Pointer that passed away eight years ago. She would have liked living here at the base of the Blue Ridge. She,like Copper, would have enjoyed chasing squirrels. She would have loved walking the gravel road to the top of the mountain and stopping to gaze out into the distance. 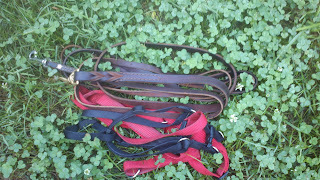 The leather leashes, now used by my two newer companions, were still hers...as was I, I suppose. Sometimes remembering the past makes your heart swell with pride and joy, even though your eyes fill with tears. Life has been good to me although I've traveled many roads. I think sometimes that joy and sadness go together! (At different times of the relationship). nice thoughts and memories...they stay with us for always. Such a good tribute. I remember my sweet babies and wish I could take them for one last walk and give them one last hug. But I know that wouldn't be enough and I just hope I will be with them again one day.